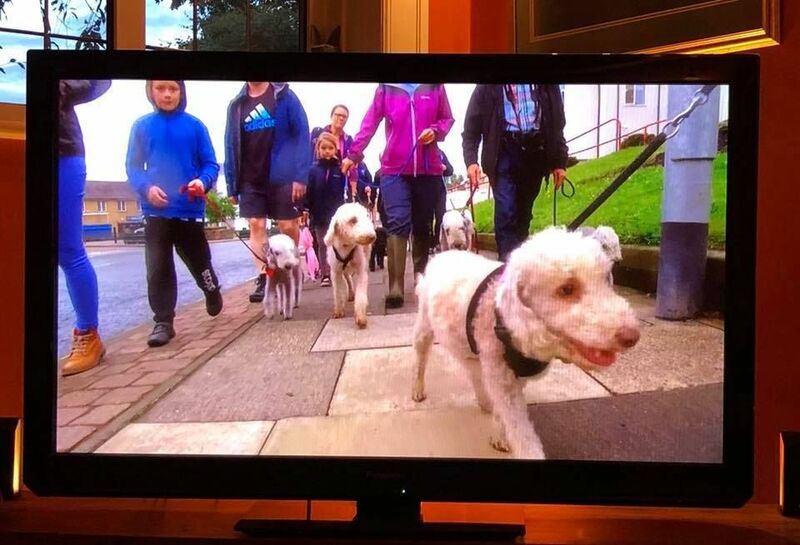 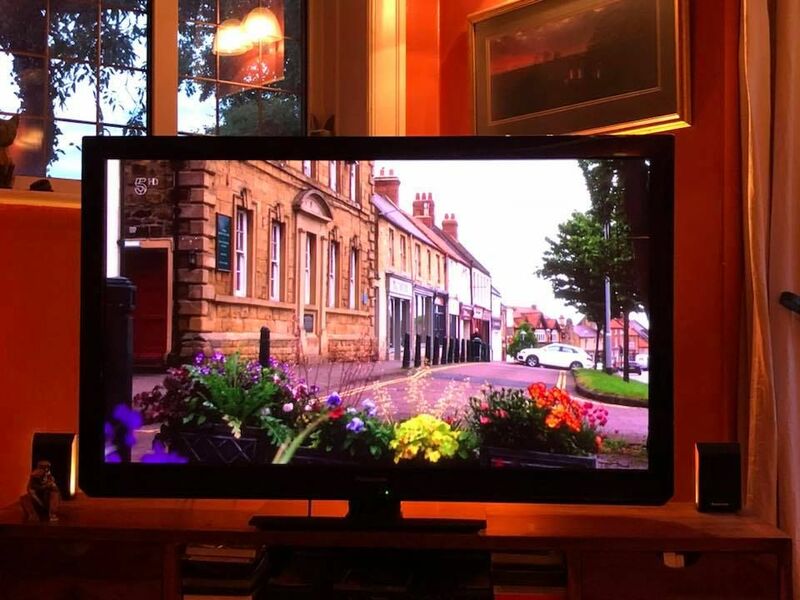 Images of Bedlington + dogs, off the TV, posted on Facebook by Simon Williams last night and I think the show is repeated at 03:30 tomorrow morning but that is just a guess. 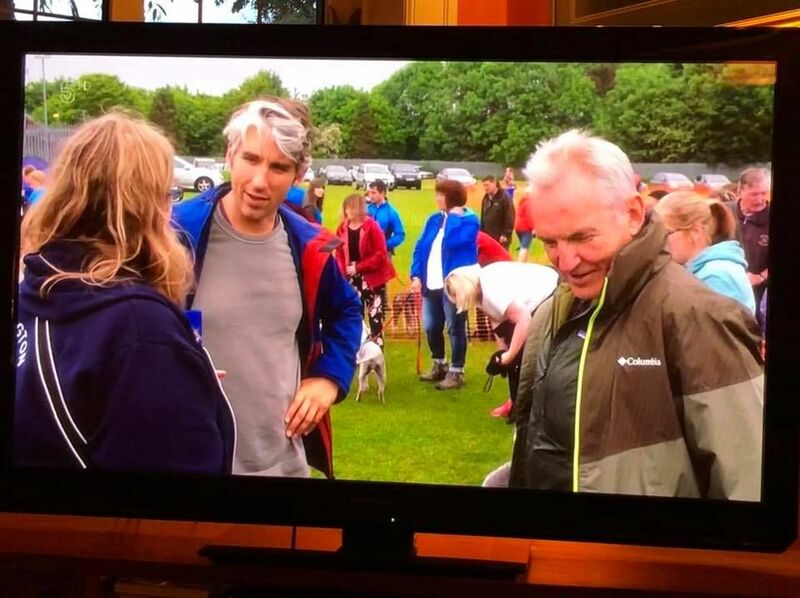 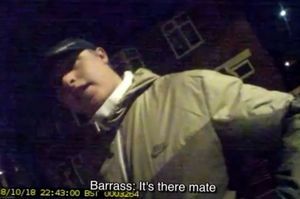 If I'm right the show is :- Britain by Bike with Larry & George Lamb. 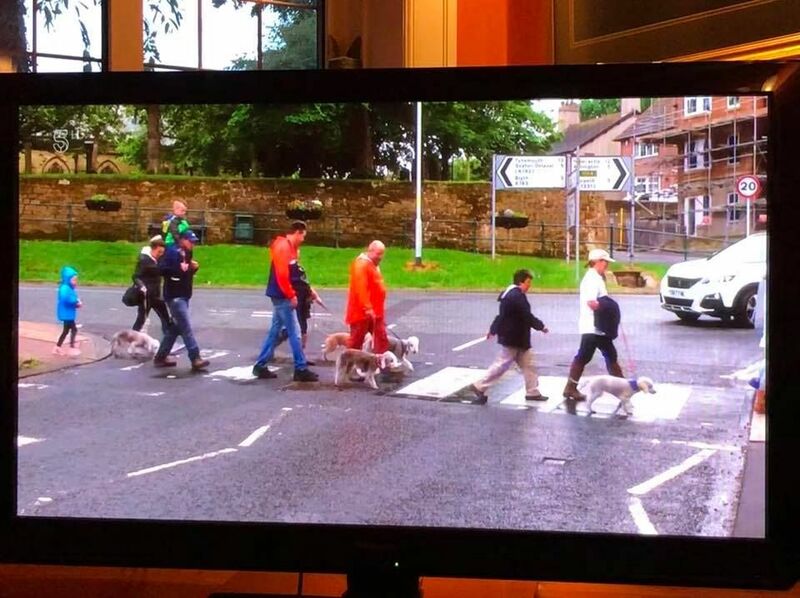 Judging by the images I think this is the attempt to break the Guinness World Record - March 23rd 2018 - by the Bedlington Terrier group/club - most number of Bedlington Terriers in a park or on a beach?